Want more energy and better concentration? Then getting active is the answer' At Career Point we believe staying fit is not only beneficial for the body but also for the mind. 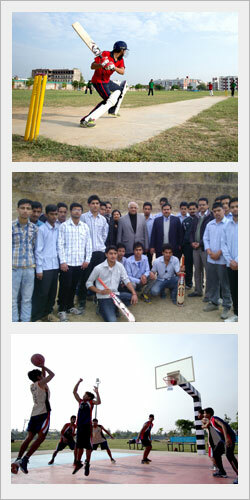 Sports and recreation activities plays a vital role in overall development of the students. Outdoor sports are as essential as indoor recreation to keep students stress free. Students refresh themselves by indulging in outdoor games like football, cricket and hockey. For those who prefer the indoors there are facilities for table tennis, chess and carom etc Students can also use health clubs and other facilities. Indoor Games facilities like Table Tennis, Chess and Caroms etc.